There is no stopping to the explosion of mobile apps. The spurt in apps can be credited to the evolution o the smartphones. From a simple alarm app to the complex navigational app, our smartphones are brimming with a number of apps. 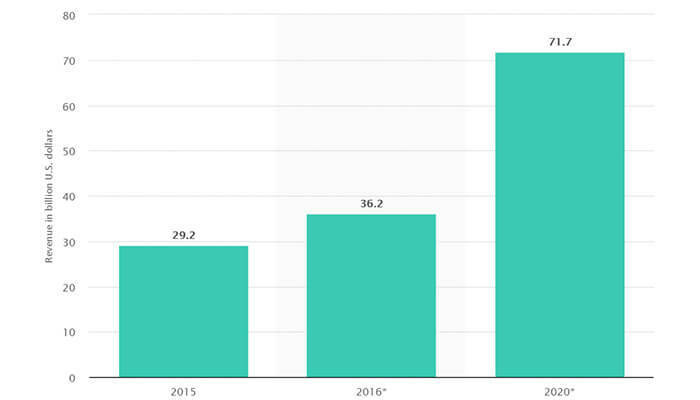 In 2015, global mobile app revenues amounted to 69.7 billion U.S. dollars. Whereas, in 2020, mobile apps are projected to generate 188.9 billion U.S. dollars in revenues via app stores and in-app advertising. The apps are available on multiple platforms like iOS and Android. So, to tap the opportunity on each of such platforms, the developers have taken to cross-platform development, which gives them the freedom to use the same codebase across multiple OSs. It implies that just by crafting a single app, you can cater to every device by making minimal adjustments. Are You New To Cross-Platform Mobile App Development? Before jumping into it, you need to know about it in length and breadths. What actually is cross-platform mobile development? Where is it used? What all platforms it cater to? As I have already explained to you what exactly are cross-platform mobile apps, now I will cover its other parameters. 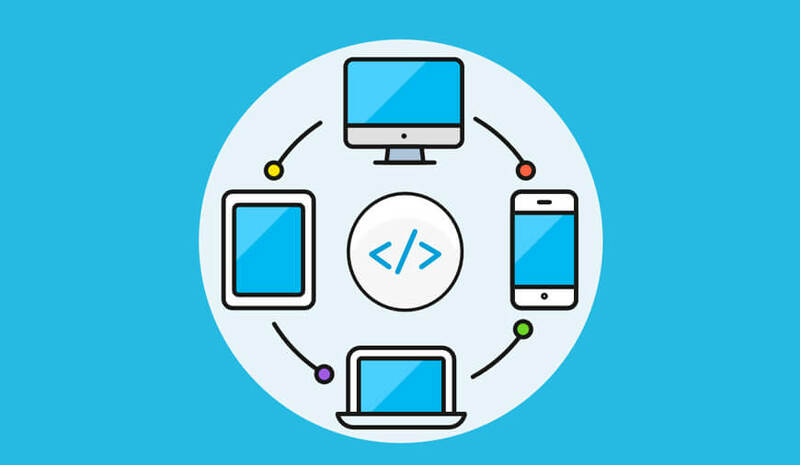 Though there is only one code for various platforms, but the programming languages through which the cross-platform development can be accomplished are multiple. Following are the programming languages supported for cross-platform app development. 1. Java: It’s the core language for Android. 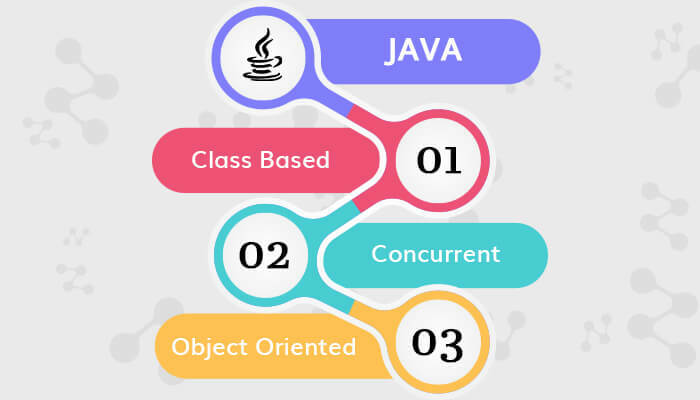 Java is concurrent, class-based, object-oriented, and specially designed to have as few implementation dependencies as possible. 2. C++: It is a general-purpose programming language and is not as advanced as Java. C++ possess imperative, object-oriented, and generic programming features that suits the cross-platform development project. 4. C#: It is a multi-paradigm programming language equivalent to the Objective-C. The programming language is imperative, declarative, functional, generic, object-oriented, and component-oriented programming disciplines that have lately become a popular choice for cross-platform developers. 5. Ruby: The language was designed and developed in the mid-1990s in Japan. Ruby is a mobile-specific programming language with elements like reflective, object-oriented, general-purpose, and interpreted. 2. Xamarin: Xamarin is a Microsoft-owned cross-platform development framework. 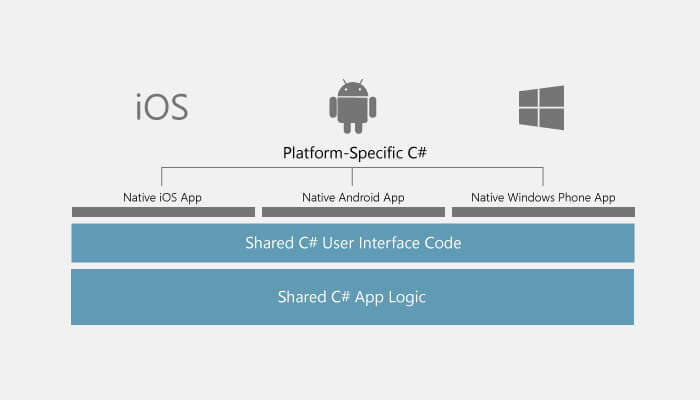 Apps built using Xamarin contain standard, native user interface controls. Apps not only look the way the end user expects, but they behave that way too. It further has access to the full spectrum of functionality exposed by the underlying platform and device, including platform-specific capabilities like ARKit and Android Multi-Window mode. 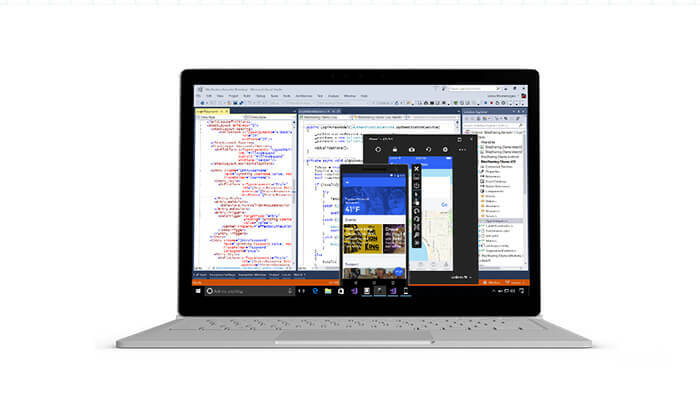 Xamarin also breaks downs the cross-platform operations like that of the creation of dynamic layouts for iOS. 3. 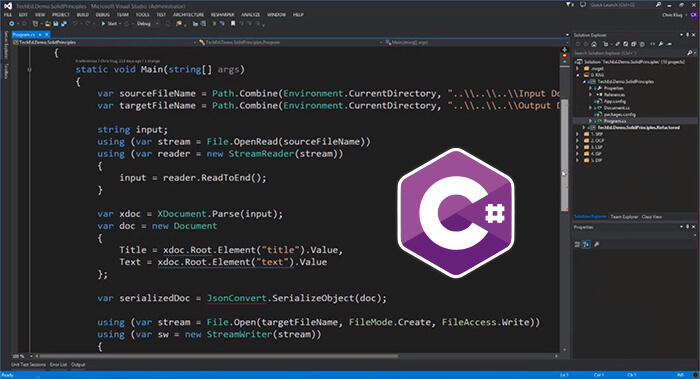 Unity: Unity mainly uses C# for coding and offers a wide range of resources for creators at every stage of learning. From free tutorials to in-person training, it has everything best in class. The cross-platform game engine is created by Unity Technologies and caters to 2D, 3D, connected, and AAA games. Unity framework comes with a lot of freebies like free plugins, detailed documentation, and more. For better options, the company offers paid sessions for superior graphics and deployment. However, this cab further leads to cost escalation. The platform offers a lot of features that helps the developers to develop the apps easily and furthermore; it provides an optional virtual private cloud option for companies that handle sensitive and private data. 7. Kony AppPlatform: It is a low-code development framework that involves minimal development hassle. 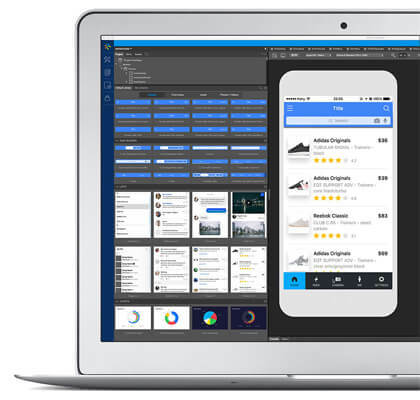 Kony’s visual design canvas and tools enable faster design and development. Designers and developers can integrate 100 percent of the native OS or any available open-source and third-party framework or choose a pre-built template - for a stunning user experience without sacrificing speed. 8. RhoMobile Suite: RhoMobile Suite is again an open source framework, which is used for creating data-centric, and native mobile Appcelerator consumer apps. It offers the liberty to the developers to test applications without the need for emulators or hardware and it better suits data-centric enterprise apps. The one thing that separates this framework from cross-platform development tools is that it provides automatic data encryption. 1. IntelliJ: Every aspect of IntelliJ IDEA is specifically designed to maximize developer productivity. Together, powerful static code analysis and ergonomic design make development not only productive but also an enjoyable experience. After IntelliJ IDEA's indexed your source code, it offers blazing fast and intelligent experience by giving relevant suggestions in every context: instant and smart code completion, on-the-fly code analysis and reliable refactoring tools. 2. Visual Studio: It is an integrated development environment (IDE) from Microsoft. Visual Studio is used to create websites, web apps, web services, mobile apps, and computer programs. It uses software development platforms such as Windows API, Windows Forms, Windows Presentation Foundation, and more. Most importantly, it can produce both native codes and managed code. 4. Qt: Qt is more than just an SDK. It's a technology strategy enables the developer to quickly and cost-effectively design, develop, deploy, and maintain software while delivering a seamless user experience across all devices. Also, it lets you create fluid, high-performance and intuitive UI, applications, and embedded devices with the same code base for all platforms. 5. MobinCube: This app builder requires no coding and is one of the preferred choices of the budding developers. With its excellent visual interface, you can easily design your App. Initially, you just have to add pages to the app and rest click, drag, drop, copy, and paste follows. The framework is quite flexible. 6. AppsMoment: Like MobinCube, AppsMoment is also a code-less platform, that keeps you away from learning any of the web languages. 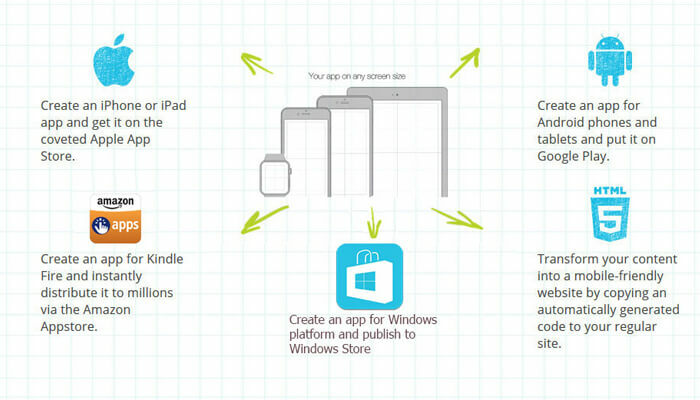 The platform is perfect for app development for iPhone, iPad, Android, and Kindle. Here, the developers can create and customize and publish their apps for free. 7. RubyMotion: It lets you quickly develop native apps for iOS, Android, and OS X, all using the editor and the Ruby language. RubyMotion features a statically-compiled version of the Ruby language designed for native mobile platforms, as well as a command-line based extensible toolchain that will let you easily customize your development workflow just the way you like it. 8. Ionic: An Ionic Account offers more than just the open source tools. It offers web developers to build, grow, and scale cross-platform mobile apps. From the open source framework to Cloud Platform, the apps will be built faster. The app development platform offers more features with better packages. 9. Dropsource: It visually creates powerful, data-driven and truly native iOS and Android apps without writing any code. Dropsource further reduces time-to-market for individuals and businesses who don’t want to waste much time. Use Dropsource to prototype and build rapidly, then test and publish seamlessly. It eliminates the requirement for manual coding while still providing access to lean and editable native source code. 10. Yapp: It is a platform that allows you to create easily, edit, and instantly publish engaging mobile apps that are compatible with both iOS and Android Devices. The platform focuses more on app building for events, conferences, and meetings. 11. 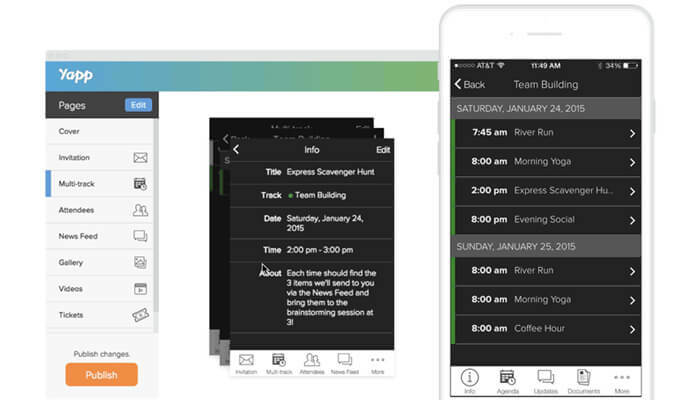 Corona: It offers full-featured mobile event apps of all sizes. The Corona offers some very notable features like rapid app development, liberty to add unlimited pages, instant publishing, unlimited updates, and much more. It further monitors the apps' installs, usage and content statistics in real-time, which ultimately helps in make data-driven decisions about your event content and communication. 12. Xojo: The cross-platform let you create the native user interface quickly and intuitively with drag and drop option. With over 40 user interface controls built-in, the apps build here can fit any platform. Additionally, Xojo offers cloud hosting as well. This was all that one needs to know before jumping into cross-platform mobile app development. I have given my best to apprise you of the best languages, frameworks, tools, and platforms that will help you in trying your hands in this landscape. Also, all the tools mentioned over here have their own strengths and limitations. So it becomes very crucial that the tools should be picked according to the project needs. I hope, this article helps you in making better a decision about the cross-platform development. Just in case, if I did miss something, please notify me by commenting below, and I will make sure that I add the left out information asap.